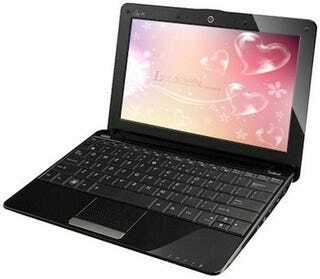 If you believe the dual core Atom rumors, the ASUS Eee PC 1201N could knock out all other netbooks in performance. The leaked 12-inch Eee PC 1201N apparently has Nvidia Ion graphics (GeForce 9400M chipset) along with a 1.6GHz Intel Atom N330 Dual Core processor. That along with 3GB RAM, and a 320GB HD should make it one of the most powerful Atom netbooks around.